The key to successful, injury-free running that allows us to meet our performance potential is laying down a solid running base first. A running base is the foundation for all running goals. The definition of a ‘foundation’ is “the basis or groundwork for anything, most often the load bearing part of a building.” In running, a solid running foundation means adequate conditioning of the heart and lungs, also known as the cardio-respiratory system, and the muscular system. Just like the foundation of your home, you want your running foundation to be solid, strong, and impervious to cracks or faults. • Run base miles at a steady, comfortable, conversational pace. For runners using a heart rate monitor, base pace is about 60 to 75% of your maximum heart rate. • Plan your mileage increases carefully. Jack Daniels, a noted Exercise Physiologist, suggests adding one mile per week for each running workout you do per week. For example, if you run four times a week, add no more than four miles to your weekly mileage. Then, train at your new weekly mileage level for three weeks before increasing your mileage again. • Plan for a minimum of 10 to 12 weeks of base mileage runs before hitting the track or tackling long distances. 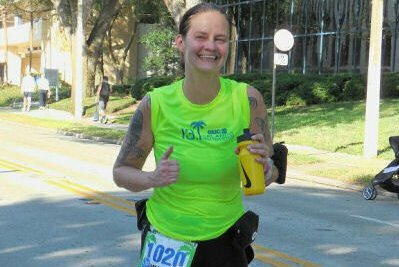 veteran and OUC Orlando Half Marathon pace group leader! In order to condition the cardio-respiratory system, we must move. Whether running outdoors or on a treadmill, cycling or spinning; whether swimming or using the stairmaster or the elliptical machine, movement of the large muscles of the body is required. Movement simultaneously conditions or toughens up the body’s support structures like muscles, tendons, ligaments, bones, and fascia. Supporting structures become conditioned while using them to stimulate the cardio-respiratory system. However, this conditioning process takes TIME! 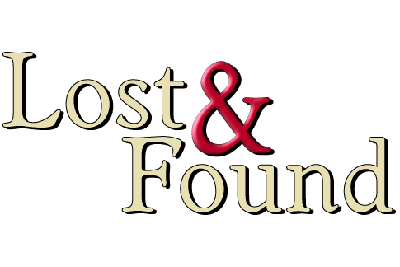 Depending upon the fitness level and running background of the individual, this process can take several months. Patience is a virtue and, unfortunately, not a trait frequently found in runners. Impatience and over-enthusiasm too often lead runners to skip or short change this phase of training. From a physiological perspective, base miles are critical for success because they gradually turn our bodies into lean, mean, running machines. Base miles build aerobic conditioning, develop slow-twitch oxidative muscle fibers, increase blood volume, expand glycogen stores, and enhance the body’s ability to burn fat as fuel. 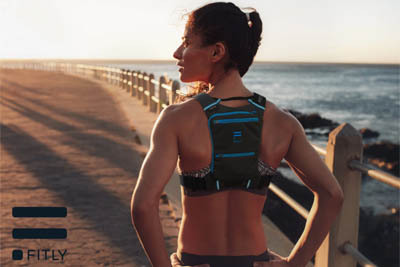 Base miles strengthen and toughen muscles, connective tissue, ligaments, and tendons; therefore, making you stronger and less prone to injury. These runs are relatively easy paced runs, meaning you should be able to carry on a conversation while running. If you cannot speak comfortably, slow down. For runners that measure heart rate, these runs are between 60 to 75 percent of your maximum heart rate. Track Shack offers a variety of Training Programs from beginning your fitness journey with W.R.A.P (Walk Run Accomplishment Program) to longer distances and even fun Wednesday night group runs! 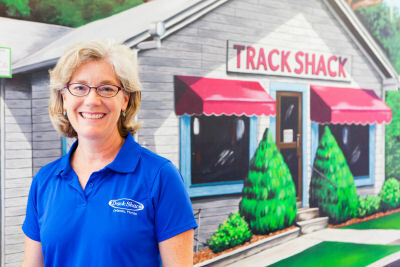 For more information on all of Track Shack’s Training Programs including specific times and locations or to register, visit TrackShack.com.